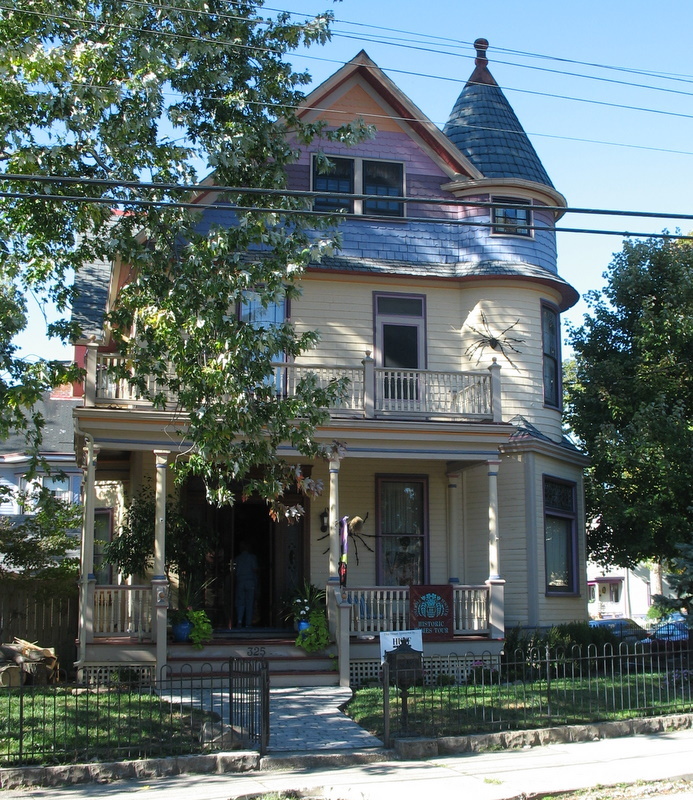 Last weekend I went on an historic homes tour in Columbia Tusculum, the oldest neighborhood in Cincinnati. Columbia Tusculum was founded in 1788 on the hilly banks of the Ohio River, shortly before Losantiville (now known as Cincinnati) was settled. The oldest home still standing was built in 1804, so you can imagine how much fun it is to look at the houses there. I’ll be posting the photos I took from the home tour soon, but today I’m joining Melissa’s Fall Drive-By blog party and focusing on the homes I walked past that were decorated for Fall. 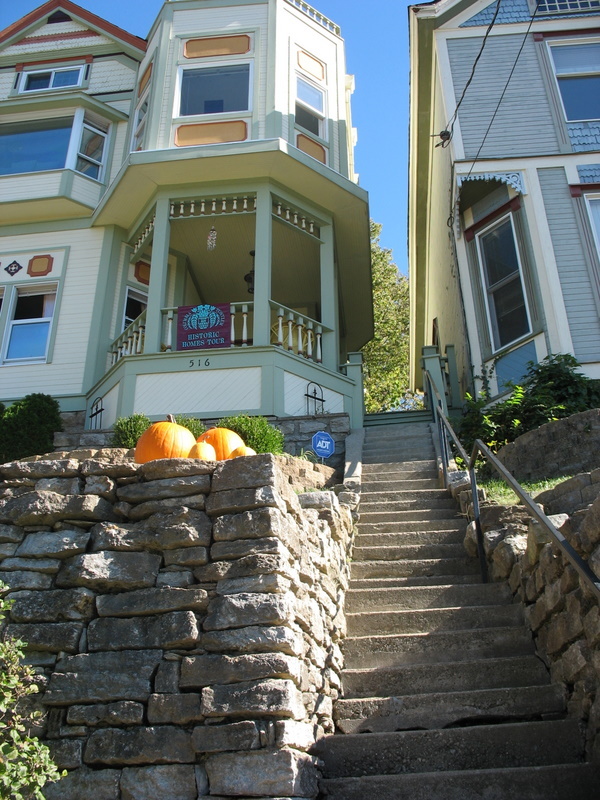 The homes in Columbia Tusculum are perched on top of such steep inclines that you have to climb a lot of steps to reach them! This playhouse behind one of the homes in Columbia Tusculum was decorated for Fall with a wreath on the door and pumpkins on the front porch. Lily loved it! 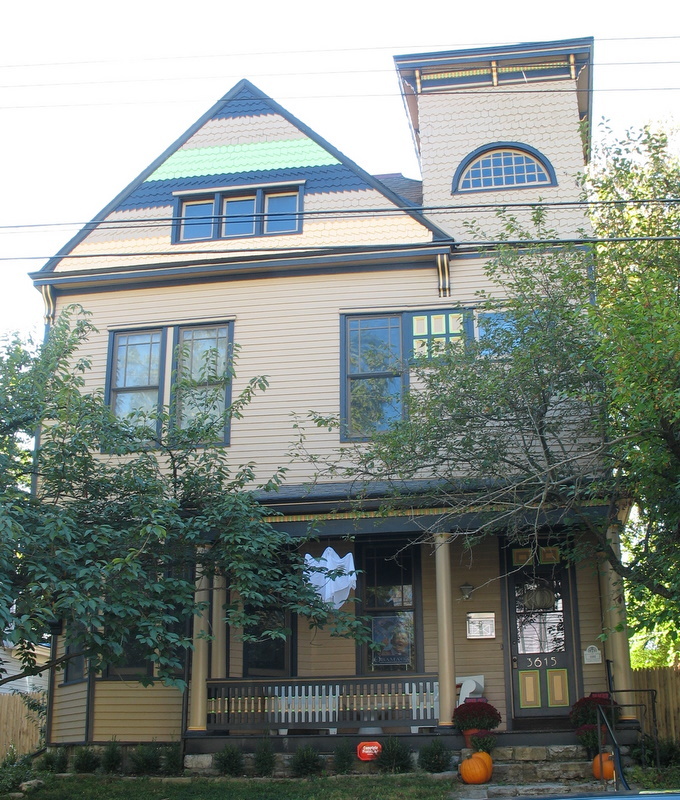 This Gothic Revival home built in 1855 was one of my absolute favorites on the tour. 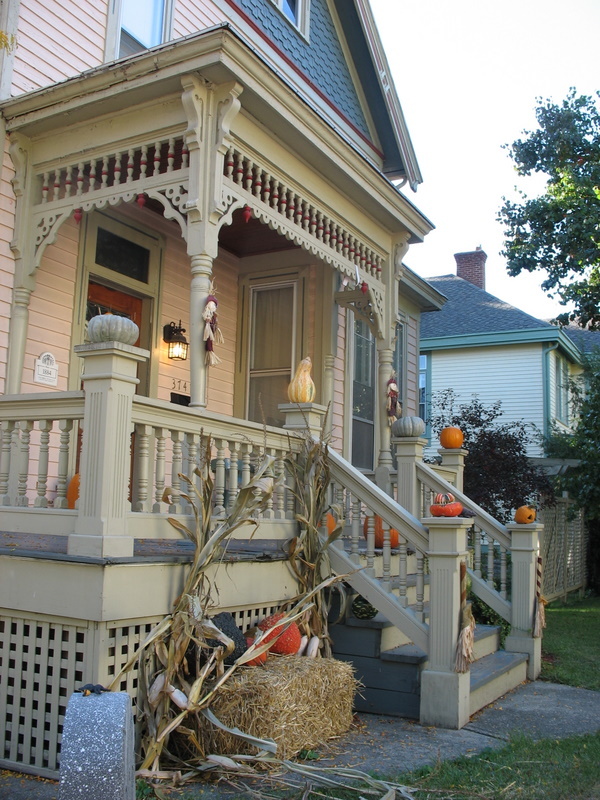 Do you have a favorite porch on this parade? I can’t wait to take you inside some of these homes and show you how beautiful they are. Watch for those posts, coming soon! Don’t forget to stop by The Inspired Room and join the blog party! Are you hooked on old houses? 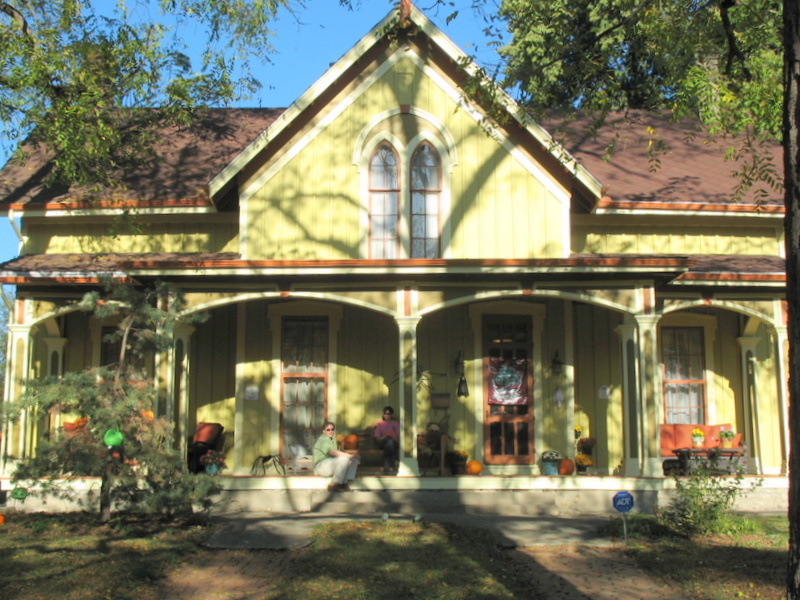 Check out more houses in Columbia Tusculum, or take a tour of a charming yellow painted lady built in 1890. 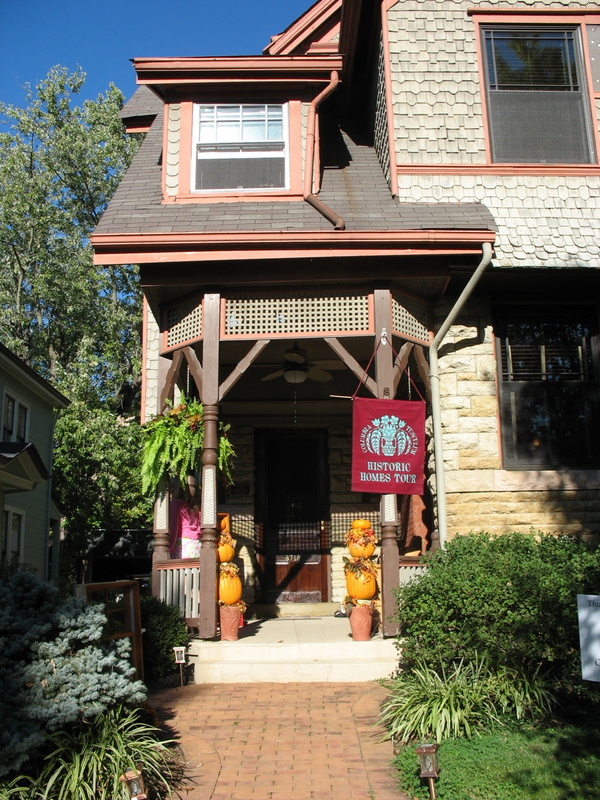 Click here to see more tours of historic homes featured on Hooked on Houses, including those shown during Fantasy Open House Week: Old Homes Edition. Join the Blog Party on Friday, October 24! 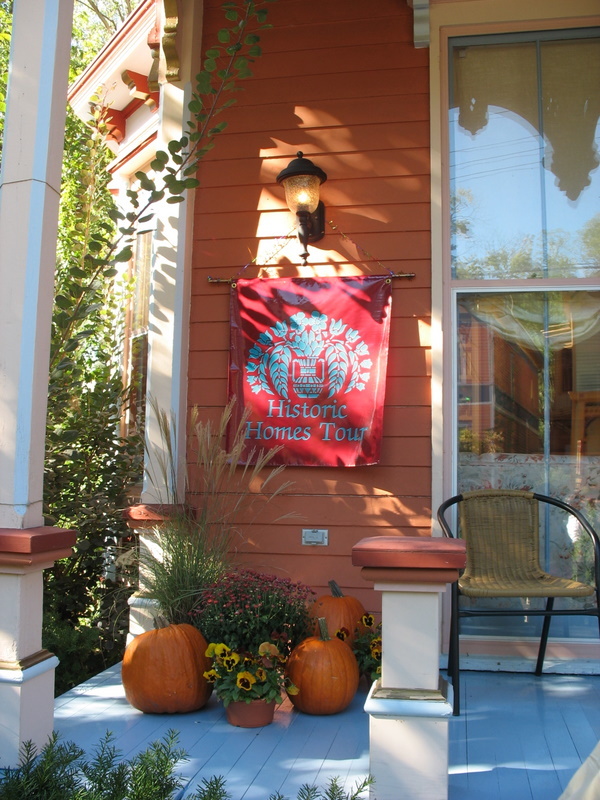 The Hooked on House Tours fall blog party starts this Friday, October 24. I’ll post Mister Linky the night before so you can start linking to your posts. Feel free to use this blog button on your site or take the smaller one from the sidebar. 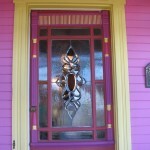 If you do participate, your assignment is simple: post a house tour on your blog. It can be a tour of any house, anywhere. It’s up to you. The idea is that we’ll be having one giant Fantasy Open House around the blogosphere. I hope you’ll join us! Love them all, give me a comfy chair on the front porch and I can stop and watch the world go by! Great tour Julia! 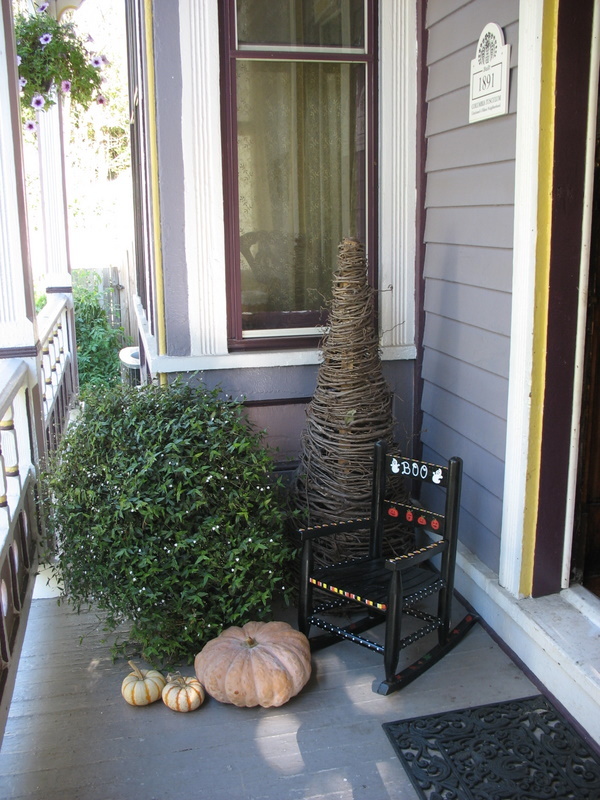 I am loving that little black child’s rocker…and the white pumpkins….and that cutie~pie clothesline! 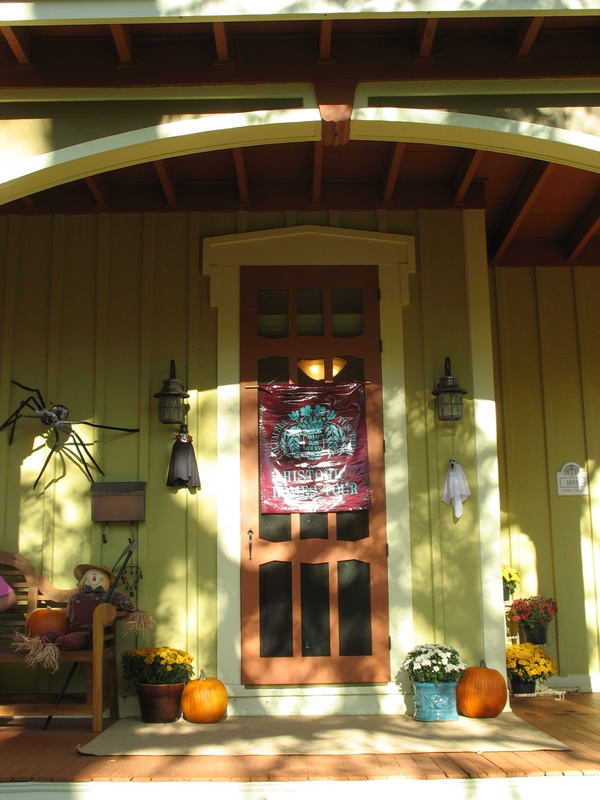 But, the bump~ity, grump~ity, snarl~y old pumpkins on some of the porches are my favorite…yep, love it! I loved seeing all of the front porches. 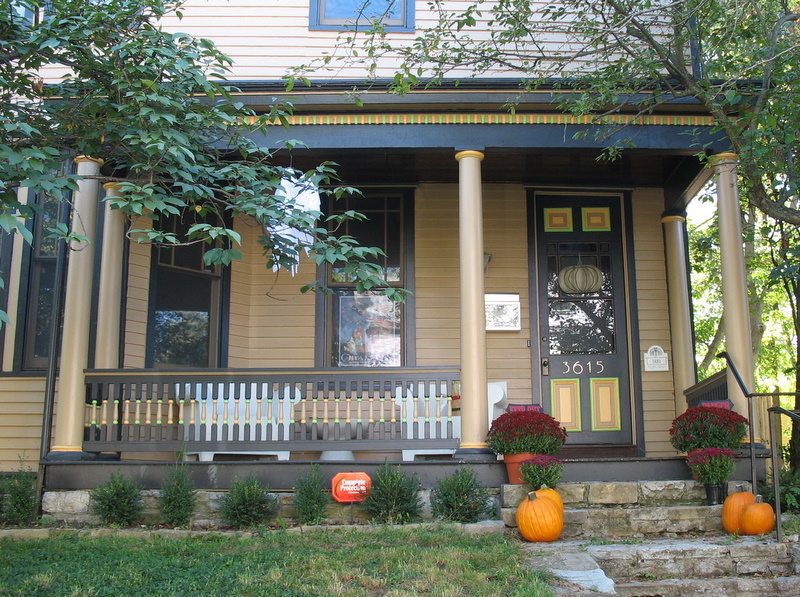 Our current home has a front porch, and while it’s not historic, we love it. We hardly ever sit out back on our deck, but we’re on the front porch just about every day. Even our dog loves it. Pretty porches. I love that playhouse! Great fall porch post, Julia. I can’t wait to see interiors! 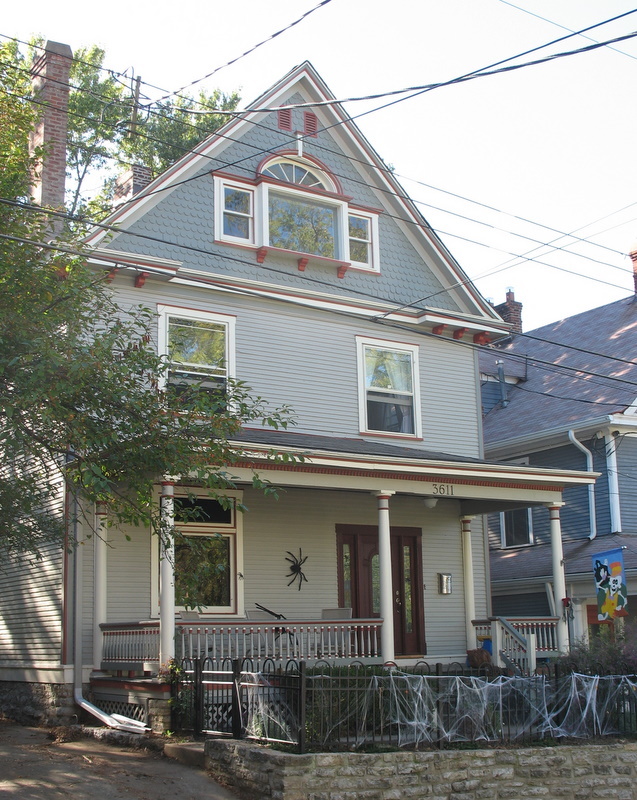 There’s just something about an older home done up spookily for Halloween. So beautiful and yet I wouldn’t go near it at night, lol! Beatufil post. Hi! I just found your blog (through Carrie’s Little World) and am so happy to have visited! 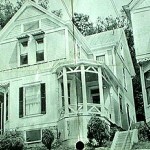 I love your blog, and share your love for old houses! All of the pictures you shared are amazing, and it would be hard to call just one of the porches shown a favorite, but how about three? The first one is wonderful, also the one with the topiary, as well as the one that has the white pumpkins that spell “BOO”! Thank you so much for the beautiful tour! I will be back! Those people are extremely creatitive. 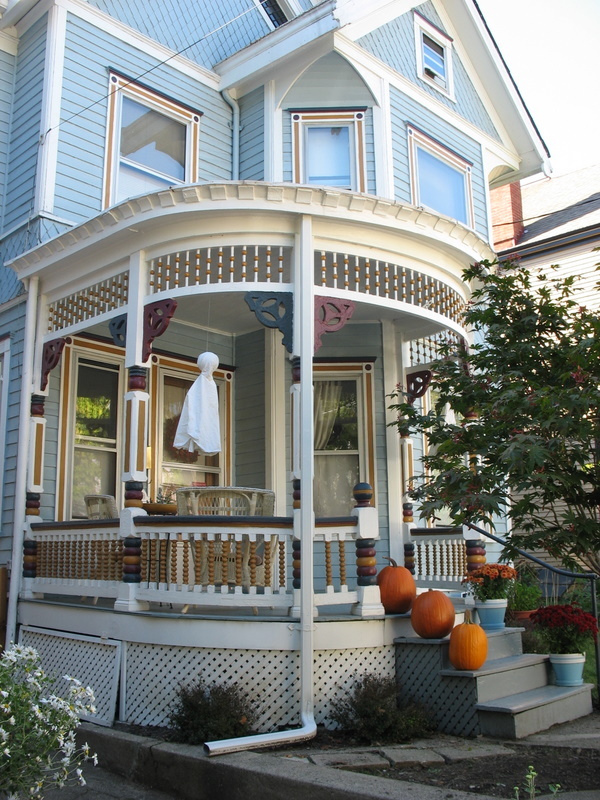 That first porch is so detailed with the perfect colors for fall. WOW! Pumpkins pumpkins in the air…pumpkins pumpkins EVERYWHERE! Those are some beautimous homes! Thank you!! Seriously, those homes are all gorgeous. Can’t wait to see the interiors. 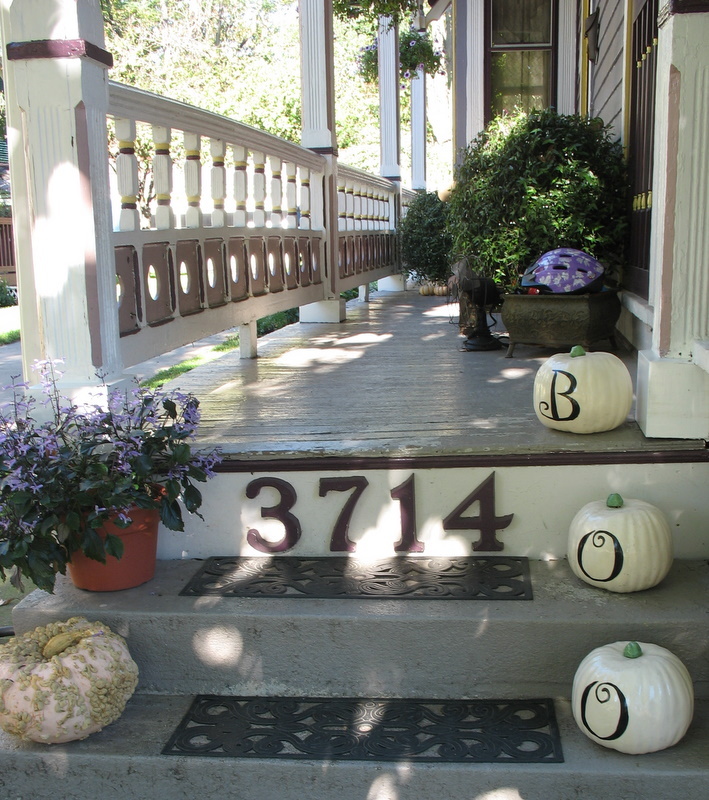 I really like the look of the porch with the white BOO pumpkins. And the house numbers on the steps? Oh my! What a clever idea! Great photos, Julia! You have some real beauties around your neighborhood! Thanks for sharing all the lovelies! These photos are great – such pretty homes. 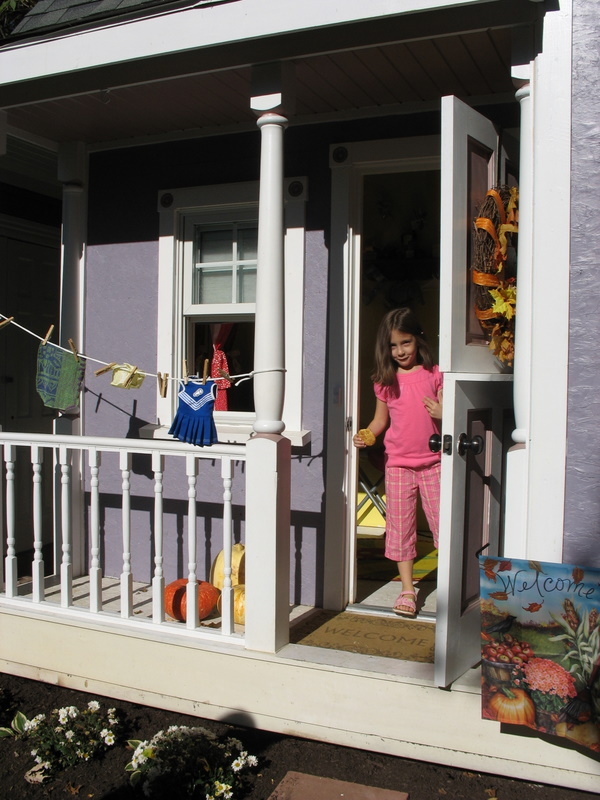 That last porch – beautiful! What beautiful homes!! 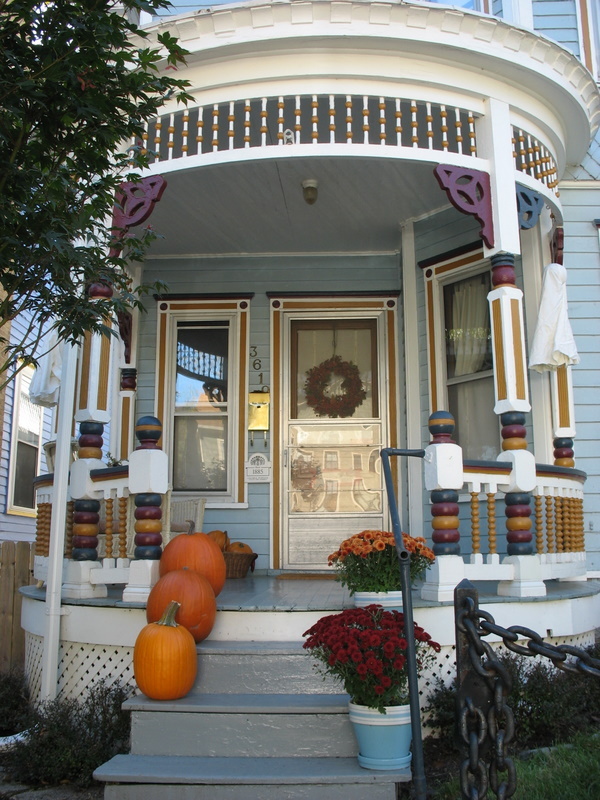 I loved the porch with the “BOO” pumpkins and the last home the most. 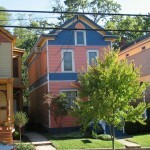 I also love how colorful all of these homes are, it makes them so interesting. Very pretty houses!! I’m liking the idea of having to walk up lots of steps to my house – keeps the boogie men away and I’d loose a few .lbs! Good point, Angela! I think I lost a few pounds myself the day of the walking tour going up and down all the stairs. What a wonderful place to go for beautiful pictures. I felt you took us on a tour of the old historic area. I also liked the BOO Pumpkins. My granddaughters call the white ones ‘Princess’ pumpkins. Thanks for the tour! 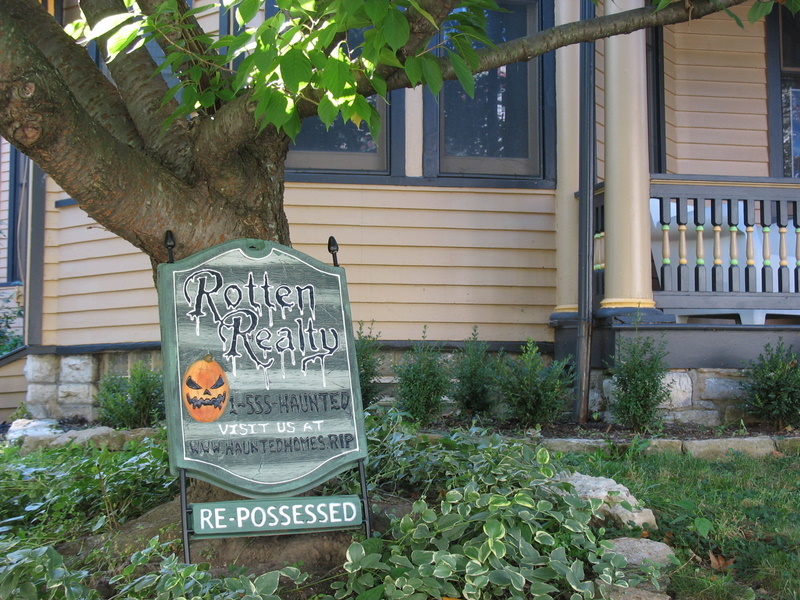 What really killed me was the “Rotten Realty” sign. Priceless! Lovely! You know I’m a sucker for old homes. 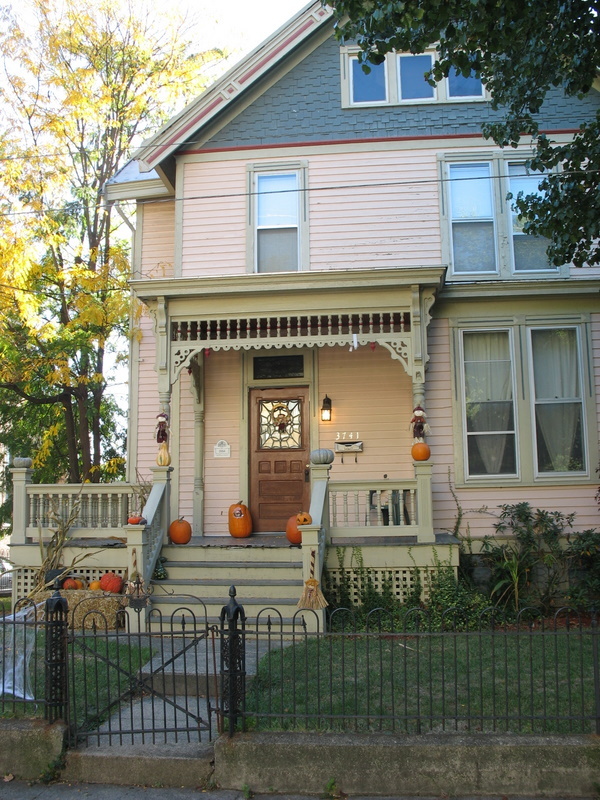 That Gothic Revival is a peach…The bigger the porch, the happier my heart. 🙂 The “re-possessed” Halloween sign…probably not so funny anymore for people, huh?! Fun, fun, fun!! I loved all the porches but the white “boo” pumpkins jumped right out at me. There are some great ideas on those beautiful porches. The BOO pumpkins are adorable. What fun! I loved the playhouse. The little clothsline was adorable! 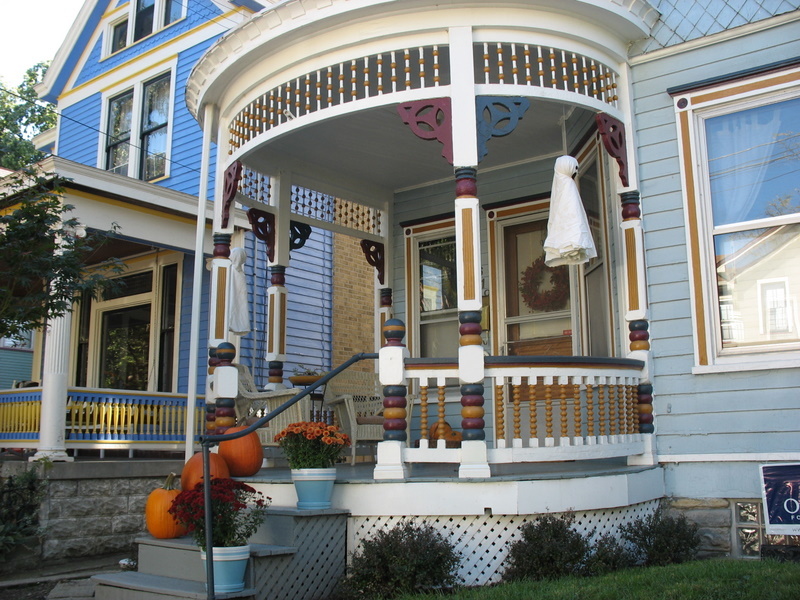 I just did a post about drive by front porches and had such fun looking for them. Fall just seems to bring out the decorating bug in people. LOVE the painted ladies. I need to take a drive down and see some of these first hand! Thank you for the wonderful tour Julia! I got so many ideas from your pictures – you are an excellent phototgrapher – thankyou. I love a good porch. 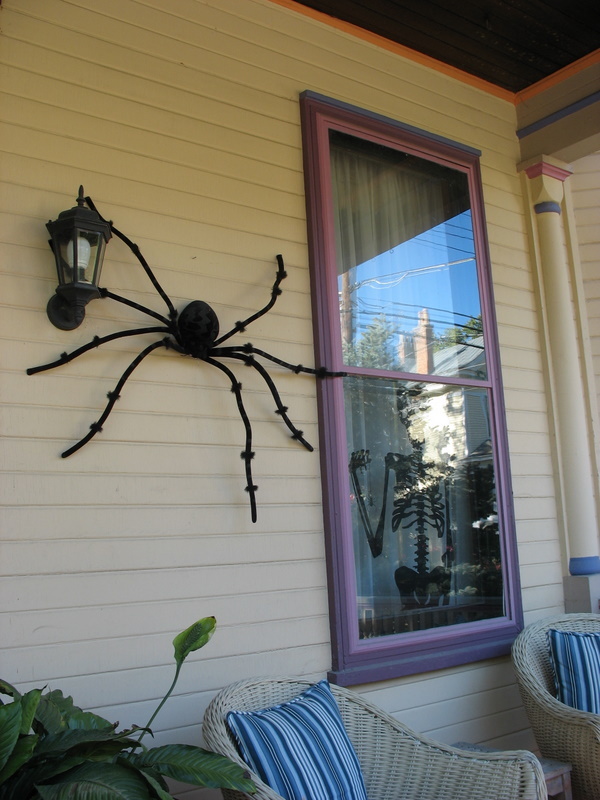 That real estate sign is genius, and now I want a ginormous spider to hang off my little balcony. Those homes are beautiful. Love the porches too. I loved looking at all those beautiful houses all decked out for Halloween. Thanks, Julia. It was quite the tour. I’m cracking up that your Lily’s favorite house is the “rainbow house” too. My Lily claimed it ages ago! I didn’t think we’d ever get the kids out of the little purple playhouse! I adore old homes. So much character and history. The details inside are like a treasure hunt for the soul. Front porches are my all-time favorite part of any home. To sit on a front porch, swinging with a tall glass of sweet tea, chatting with a friend, or just saying hello to those who walk by. The world was a friendlier, happier place when more people sat on a front porch swing. I love them all. Painted Ladies are always a treat for me and give me a turret on any and every house. Oh my heart sings with joy! Thanks so much for stopping by my blog, for your kind words and for making ME feel so special as the comment of the week. I feel like a fairy princess!!! To be honored by you, at your blog is truly a blessing. Thank you. Love the porch tours, as always! What amazing homes…I can’t even begin to pick a favorite because they all were fantastic! I’m really looking forward to the inside tours! Amazing fun!! LOVE them all…. thank you dear Julia for sharing these with us! I just found my way to your blog via livinglocurto. Hope to take some house tours in a little while but I have to get back to work right now. You are correct, blogging is a major interruption in my work day!!! Loved the white pumpkins that spelt out Boo! !